Launch of the Luxury Hostels of Europe project! 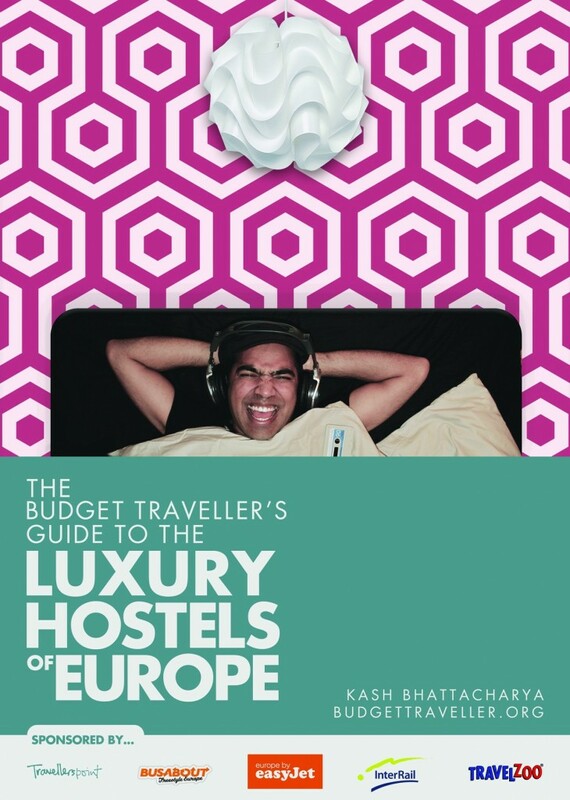 Today sees the official launch of my guide to Luxury Hostels of Europe in partnership with Travellerspoint, easyJet, Interrail, Busabout and Travelzoo. The idea for the project had been in my head for awhile. 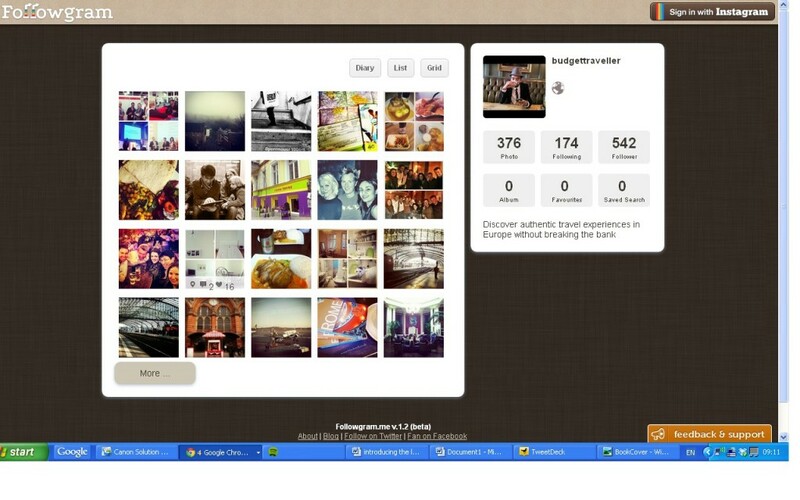 It started germinating in my brain when I launched the BudgetTraveller. Uncomfortably, I detect a sneer in their voice and look of disdain. There is a lot of people for whom hostelling or travelling on a budget is not their their cup of tea. Travel and happiness is different for everyone. However from the research I did for this project ( sample of 120 people surveyed end of last year), I’ve found more than half of the people I spoke to had been backpacking/hostelling extensively in their early 20’s and got the t-shirt. They now have high enough disposable income ( £30,000 +) and can afford a nice hotel. I thought my backpacking days were over when I visited Paris last year. I was stuck in a ten bed dorm of snoring and drunk Brazilians. More than the insane snoring, what kept me up all night was the fear that my life as the BudgetTraveller was coming to an end. What kind of a budget traveller can’t hack a night in a ten bed dorm? I never complained when I was 21 or even 28. I guess as we grow older, our style of travelling does change and evolve. The community toilets in the hostel I stayed in question was a biohazard experience to be endured as quickly as possible. I have to add here that in defence of many large hostels I’ve stayed in , this is not always the case. I feel more now at my age I need my space. I am not ready to check out from the hostelling life and check in into the world of stuffy, soulless budget chain hotels. It’s not just about comfort. Convenience is key when travelling. I still want the fun aspect of meeting people. I love the social aspect of hostellig, especially since I am travelling solo. Plus the cool benefits that come with the best hostels- a great location and also the best advice. Hostel staff always know the best places to go and eat because they are travelers themselves. Then someone mentioned to me about Luxury Hostels…..
Wow- Is it possible to say the words ‘Luxury’ and ‘Hostels’ in the same breath? My research revealed a whole new world. Unknown to me there was this new breed of hostels which offer the perks of the hostel life but the comfort of a hotel: your own double room, often ensuite. Design element is strong: Think bright colours with tons of character. Ok some of these hostels may have the odd Ikea chair and beanbag here and there. Still, this is the big shift from the concept of hostelling as we know it. Some of the facilities in these luxury hostels are amazing: besides a bar , some have a rooftop terrace or a swimming pool or sauna. Few even offer an inhouse massage service. Luxury but on a budget- maybe there is a new way to go backpacking across Europe. So I guess my hostelling days are not behind me yet. I’m going to be exploring this new exciting world of luxury hostelling over the next 6 months. I’ll be visiting 50 Luxury Hostel across over 40 cities. On the trip, I’ll be leaving it behind and depending on tips and ideas from you- my readers, so if you’re on Twitter, please tweet your tips with the hashtag #luxuryhostels and there will be prizes for the best tips….watch this space. I’m a massive fan of Instagram as some of you may know. PS: Also give me a shout if I’m visiting your city and we should meet up for a coffee or beer. Always great to discover a city through the eyes of a local. I’m not going to advocate one form of travel as the way to travel across Europe. There’s an exciting variety of transport options now available to those want to backpack across Europe. 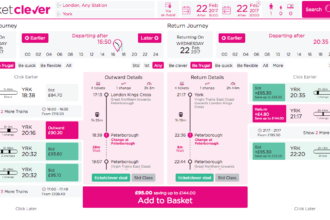 I’ll be taking the train and fulfilling a long withheld dream of interrailing plus be sampling the Busabout experience- Europe’s number one hop on, hop off bus network for indie travelers. In addition I’ll be sampling some of the budget airline routes to some of the luxury hostelling destinations courtesy of easyJet. So whether you’re looking for a luxury hostelling shortbreak or thinking of taking off for a few weeks across Europe-you’ll get the lowdown on the BudgetTraveller. Later , I’ll be announcing details of the first trip and also if you’re in London ( big hint and giveaway) I’d love you to come along and have a drink and help celebrate the launch of the project. I want to extend a big thanks to all the 50 Luxury Hostels that are participating in the project. I will be revealing names of these hostels as we go along so stay glued to the blog. 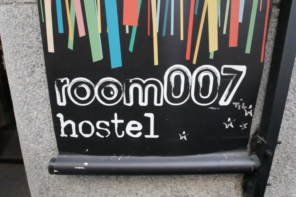 Later today on the BudgetTraveller : Meet the sponsors and find out why they are supporting the Luxury Hostels project. Wonderful project, Kash. And I’m sure it will be very successful. More and more people are looking for budget travel ideas, with a good balance between price and comfort. 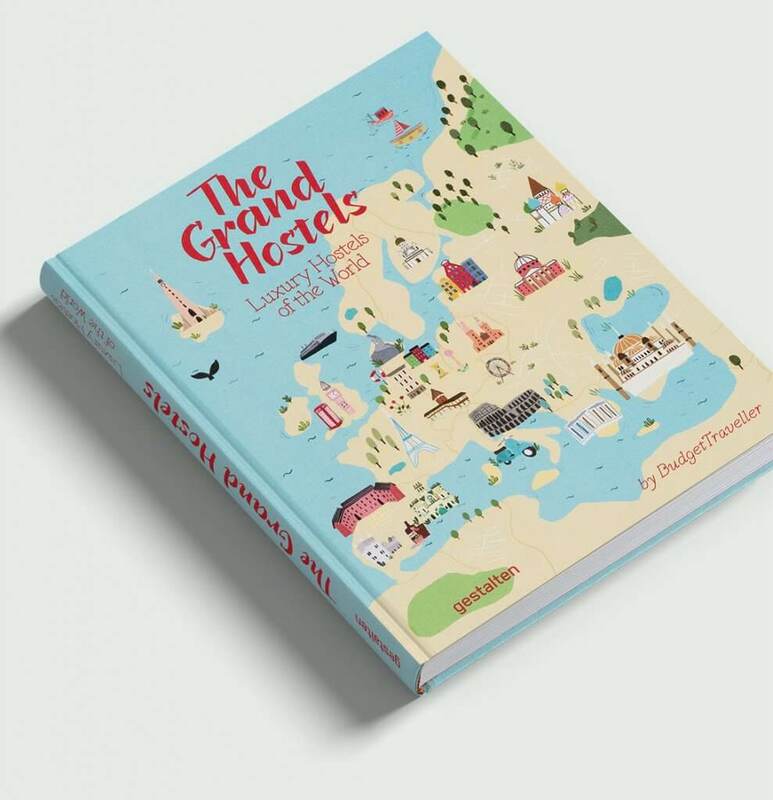 Wish you all the best, And can’t wait to read more about the Luxury Hostels! Wow! this is awesome. I’ve stayed in a few hostels that were a bit too be nice to be a hostel 😛 look forward to following you! I was just thinking about this a few months ago when I visited a hostel called the Reggae Mansion Hostel in KL, Malaysia. Unfortunately the cost of an AMAZING hostel was compromised by the terribly unfriendly staff and atmosphere. Do you have to sacrifice one for the other? Looking forward to seeing more from this. I’m one of those people that turns their nose up at hostels but I love a bit of glampacking. What a great project and resource for flash packers like us! Lol. Can’t wait to see this unfold! Well be living vicariously through you. 🙂 all the best! So awesome, Kash. Go for it! Really keen to see the details of the Hostels, will be following along. It is perfect time to make a few plans for the future and it’s time to be happy. I’ve read this put up and if I may I desire to counsel you few interesting things or tips. Maybe you can write subsequent articles regarding this article. I wish to learn even more things about it!